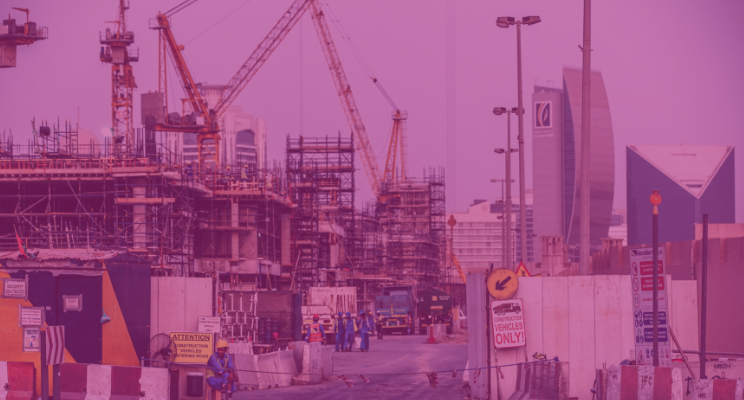 Creating even a few efficiency increases throughout the communication and logistical heavy operations of a construction project can deliver substantial cost savings. This has been a driving force behind the development of digital design tools and what has come to be known as ‘Building Information Modelling’ (BIM). At the moment, there are two converging trends in spatial modelling and design that are disrupting best practices for construction, along with manufacturing: fully collaborative design interfaces and accessible 3D point cloud survey technology. The full scope and impact of these technological trends on production is outside the scope of this article, although will be significant in many sectors. Where we want to focus is on how construction teams can update their processes to take advantage of BIM and point clouds to deliver better project outcomes, faster and more efficiently. BIM has become something of a buzzword in recent years. There have been governmental mandates, press hype and software vendors of all kinds jumping on the BIM bandwagon. You can find any number of digital design platforms with the BIM sticker slapped on the side. A descriptive linguistic approach could lead to the relinquishment of ‘BIM’ as simply a new term to categorise all forms of computer-aided design (CAD). But, the technology and processes that initially birthed the term BIM are more distinct than what it has become. At its heart, BIM is ‘database-first’ design. This means the use of interoperable design programs that all access a single dataset, rather than producing their own editable files. Traditional CADs can produce data that is interoperable with other design software, but teams still end up with dozens of separate files, and compatibility is not always guaranteed. There remains a lot of challenges cross-checking edits made by different elements of the design and structural teams within their different specialist programs. Architects require plans, sections and elevations. Structural engineers want framing and bracing diagrams. Builders need isometric views of building geometry. Interior designers want to use 3D models. A lot of the current BIM movement, including the UK BIM Level 2 mandate, is about creating data sharing platforms and common export formats for these traditional CADs. This is helpful, but it isn’t a radical change. That same sentence is not true about BIM in the true sense. BIM enables all construction team elements of the execution and design phases to operate together, seamlessly. The efficiencies in productivity BIM creates are hard to quantify. Rather than having to use many separate datasets, all of which must be updated and cross-checked whenever other elements of the team create alterations using their own specialised software, all data is stored communally — creating a single-source-of-truth for the entire project. This enables a much more fluid, collective and interactive design and delivery process. Teams are not hampered by administrative burdens that traditionally accompany cross-specialist collaboration and an iterative approach. For example, architects are enabled to push the bounds of structural reliability, and then work closely with engineers and material specialists to find solutions that work — all using specialist tools, 3D models and simulations, but still accessing the same dataset. Interior designers are then able to take that same data and tweak interior spaces, create vivid models to show clients and work closely with structural teams to meet their design expectations. Everything, ultimately, sources from the same data. Every graphical representation is simply ‘spun up’, and all changes are propagated across all other representations because there is only one dataset. BIM not only creates efficiencies, it expands the types of projects that can be developed by allowing for more collaborative design. This is all in addition to the capability of both ‘true BIM’ and ‘BIM lite’ software to store ‘object’ information about the functional and cost characteristics of a structure that will help in the delivery of construction and its eventual maintenance. Point clouds are a 3D surveying technology that allow for the accurate mapping of physical space using laser scanners and LiDAR technology and techniques. Surveys have long been used in the early planning phases of construction projects. This information can be fed into BIM schematics to form the basis of 3D models. But, the technology is more recently being put to use throughout the construction process. BIM delivers the ability to create detailed, step-by-step walkthroughs of the construction process — a BIM execution plan. This helps keep a project on track in its own right. It also creates a detailed and granular digital model of where the project needs to be at every stage of development. Using survey technology and point clouds, these incremental models can be cross-checked against the actual progress as an advanced means of quality assurance, picking up small errors and allowing them to be rectified before they cause serious issue. Perhaps even more dramatically, scanning technology empowered by point clouds can be used to quality check prefabricated parts made offsite against plans. This is significantly accelerating the adoption of this type of construction process, and even enabling the use of more radical manufacturing techniques such as 3D printing. Prefabrication, particularly, delivers the potential to drastically drive down costs, improve quality and reduce waste. BIM allows for the detailed modelling of projects in a collaborative environment, and point clouds bring those models in touch with real physical space. Neither BIM nor point clouds are exactly new. The seminal white paper that led to the development of database-first design technology and processes, ‘Building Information Modeling’, was written by AutoDesk in 2002. Technology that fulfils these requirements has been around for more than a decade. Commercially available terrestrial laser scanners have been in use since the 1990s. Both systems, however, have matured in their capabilities and availability. These incremental advancements in processes and technology have delivered more cost-effective and widely understood systems that are creating new possibilities for the application of these tools in a wide number of circumstances. All of the major architecture, construction and engineering (ACE) technology providers now deliver BIM software services — providing choice and competition to a market that is able to service all of the main subdivisions of construction. 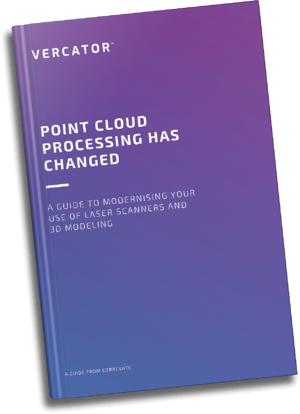 Point cloud processing has gone through a quitter but equally important renaissance over the last few years — delivering change on par with the baseline development of BIM to its own specialist sector. 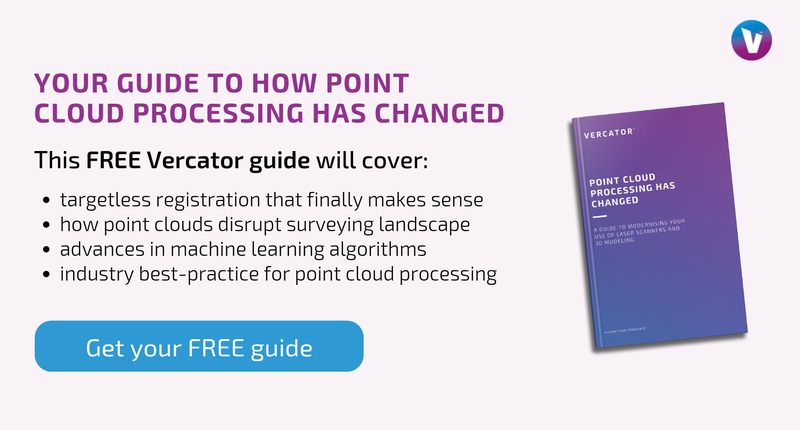 A huge historical issue with point cloud processing has been the point cloud registration process used to align the many scans needed to complete a survey. Surveyors have either had to use artificial targets or engage in laborious cross-checking and guidance procedures using specialised software to complete the process using common natural features to align adjacent scans. In the last year, suppliers have developed advanced, multi-stage, vector-based processing software that can deliver more robust targetless registration results 40%-80% faster. Breaking registration into unique stages also enables the automation of most tasks, and the frontloading if what remains — allowing for the queuing of scans for hand-off processing. This delivers a procedure that requires far less human involvement and is therefore significantly cheaper to deliver. By automating one of the most time-consuming aspects of undertaking a 3D point cloud survey, the application of this technology has been widened to smaller projects and the more regular deployment within large projects — including its use throughout the construction process as an advanced method of quality assurance. To actually take advantage of these applications and advancements, construction teams and project managers need to make sure that they make the right investment choices and strike the right partnerships. That starts with looking past the BIM Level 2 mandate to invest in design software that actually delivers database-first capabilities, not just common export formats. It also means altering processes to actually take advantage of the capabilities being delivered. When looking to engage with point clouds, partnerships should be struck with surveyors who, themselves, understand the cutting edge of their own industry. The use of multi-stage, vector analysis is still in its infancy of sector-wide adoption. The most advanced design and execution techniques in construction can only reach their full potential if partnered with the same advanced capabilities across all aspects of the project. It is ultimately up to project managers to make sure that these alignments occur to deliver the best outcome at the lowest cost. The possibilities when it comes to efficiency and quality assurance are enormous. By getting ahead of the curve in 2019, huge competitive advantages can be obtained. Making that happen starts with understanding the possibilities and ends with planning and execution.